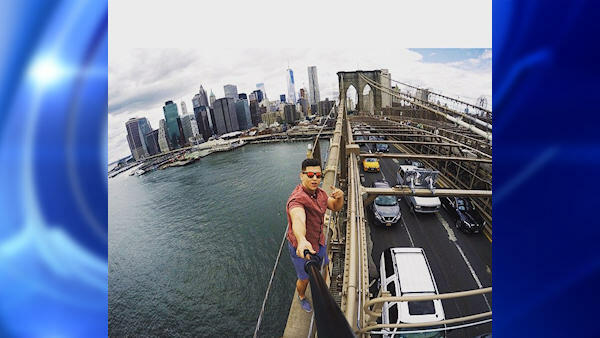 NEW YORK (WABC) -- When a tourist snapped an illegal selfie on the Brooklyn Bridge, little did he know he was actually prepping for his mug shot. David Karnauch was arrested Monday in his home state of Tennessee on a reckless endangerment charge. Karnauch climbed a beam back in June, took the photo and then got down before officers spotted him. He is expected to be extradited and returned to New York on Thursday. The selfie incident made national headlines. New York Police say Karnauch acted in an "irresponsible" and "illegal" manner.